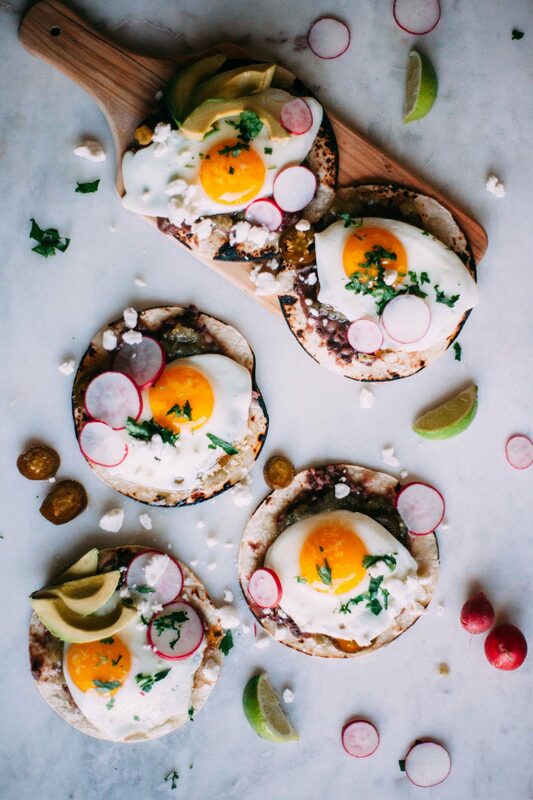 True story, if given the choice to eat only one dish forever, it would be Huevos Rancheros or some version of breakfast tacos. That may seem like a bold statement, but it’s no exaggeration. We put a runny egg on nearly everything at home, including salads. Especially salads. But with Huevos Rancheros a runny egg just runs right into the salsa and cheese, and it’s pure heaven for all 30 seconds it takes me to eat this. It’s a delicious mess.